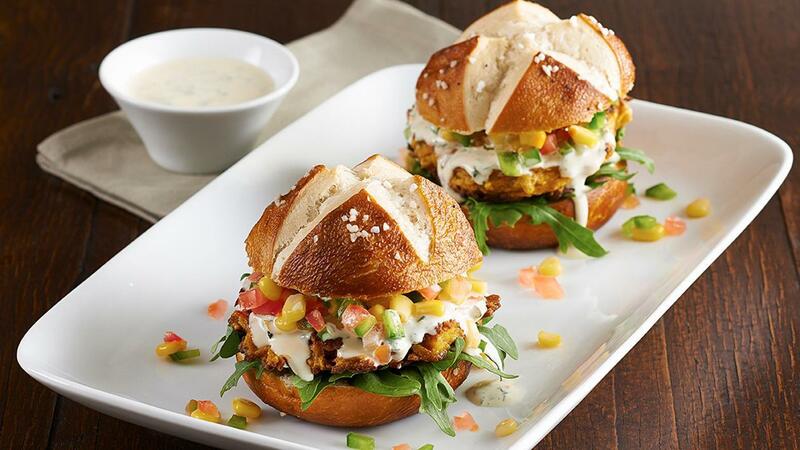 Vegetarian mini burgers made with sweet potato patty and warmed pretzel bun, make for a nice addition to your veggie menu. Combine the corn, jalapenos and tomatoes. Construct in the following order: bun, shredded lettuce, veggie patty, corn salsa, mojo aioli and top bun.